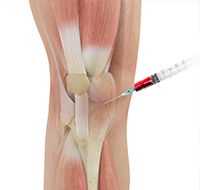 Orthobiologics are natural substances such as cells, tissue, blood components and growth factors that are harnessed to aid in the treatment of orthopaedic injuries or conditions. They may be used to replace lost tissue, stimulate regeneration and healing, reduce pain and inflammation and improve joint function. 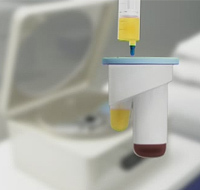 Orthobiologics may be obtained from your own body or from a donor. They may be administered in the form of injections or may require a surgical procedure. They may be used alone as conservative treatment or following orthopaedic surgery to enhance results. Amniotic products: Amniotic tissue products such as amniotic membrane and amniotic fluid can reduce inflammation and promote healing in tissues due to their cellular content and presence of hyaluronic acid. Amniotic tissues support the foetus in the womb. They are obtained from a consenting healthy donor following an elective caesarean section delivery. These products are carefully screened before use. They are available as injections or patches.